Flux / Solder Gel AIM NC254 for BGA 20ml is a No-Clean flux. 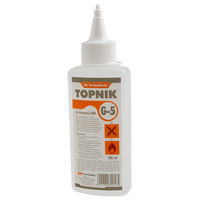 Flux has the consistency of a gel, is designed for the repair of electronic circuits, designed to virtually all surfaces wetted solder: solder pads, lead components. The flux can be used in the soldering point, to repair the imposition of balls BGA components. Increased wettability flux gives better results soldering. Solder connections are clear, smooth and shiny. Excellent results can be obtained either soldering soldering hand, using soldering station hot air station for repairs or reflow soldering oven. 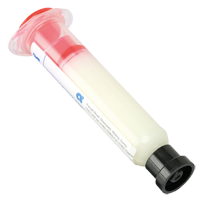 Flux / Solder gel OM338 BGA 10g is a product of a reputable company Alphametals Cookson Electronics is designed for work with lead free solders and solder. It has a thin consistency by facilitates precise application and thus suited for assembly and disassembly BGA (rebate), SMD, sockets, plugs, etc. Very high efficiency. The flux under the influence of temperature becomes transparent and colorless. 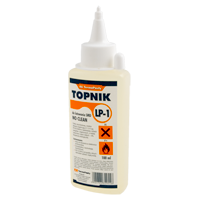 Flux residues can be removed with suitable cleaning agent eg. IPA. It is a flux of NO-CLEAN. 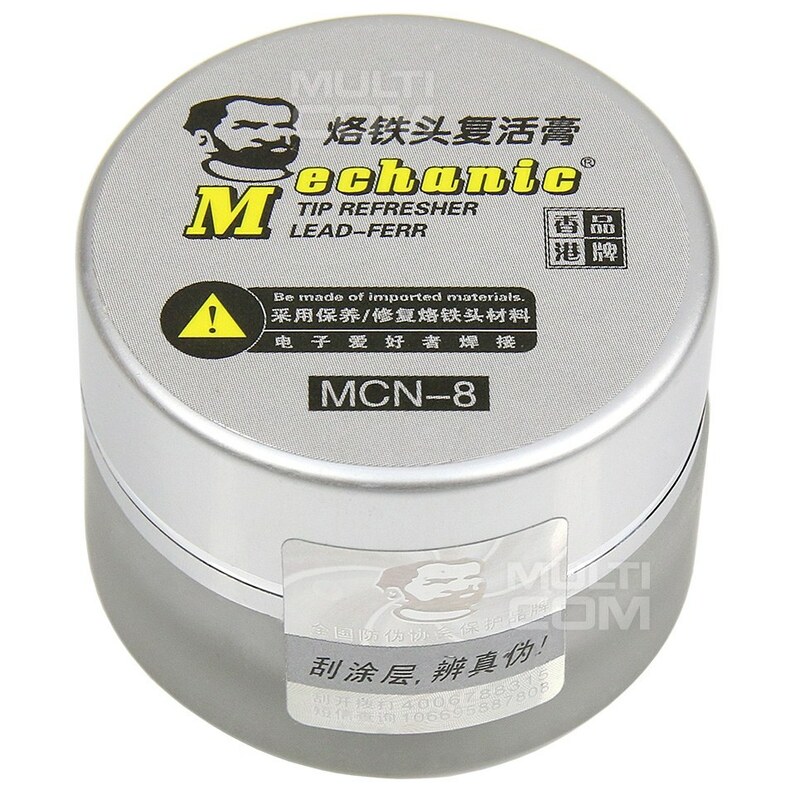 Flux AIM NC254 (NO CLEAN) is compatible with lead-free SN62 / SN63 and lead-free lead-free SAC305 / SN100C. The flux through its wide process window is used to apply or replace BGA beads, repair electronic circuits and properly wet all soldered surfaces. Solder joints are bright, smooth and shiny. Excellent soldering results can be obtained either in manual soldering using a hot air soldering station, a repair station or a brazing furnace. It is a no-clean flux, has a gel consistency. Contamination that remains on the surface after the brazing process is transparent and has little effect on the appearance of the finished product. The flux can be removed with soap water or a suitable cleaning agent such as IPA. The flux can be applied with a brush, syringe (dispenser), spatula, printed by a sieve. 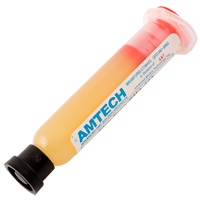 Flux AMTECH RMA - 223 UV (PCB Paste No-Clean Soldering) - 10ml is a high viscosity no-clean flux , it can be used for PCB , SMD, reworking in computer and phone chips. Help to repair the circuit boards and protect the electronic components is a necessary material for repairing the mobile phone mainboard. 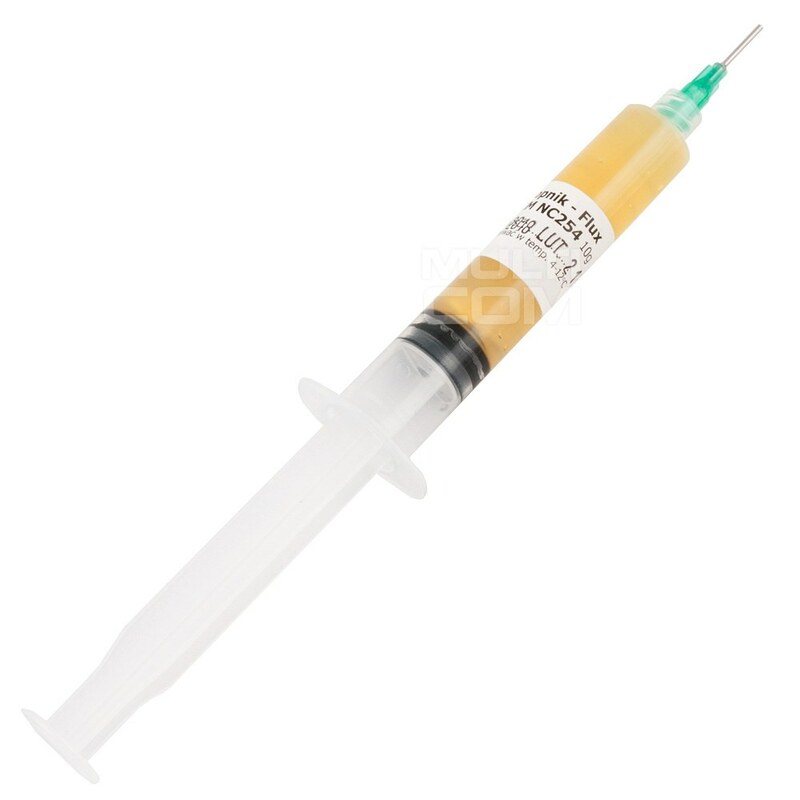 Flux Gel 1,4ml Flux gel is the condensed rosin type plux of RMA class, intended for SMT assembly and repairs. Flux gel can be applied through a sieve, pattern of from a syringe. Activators utilized in flux manufacturing process enable to leave its remnants after soldering on the package (as far as the process does not include washing phases). 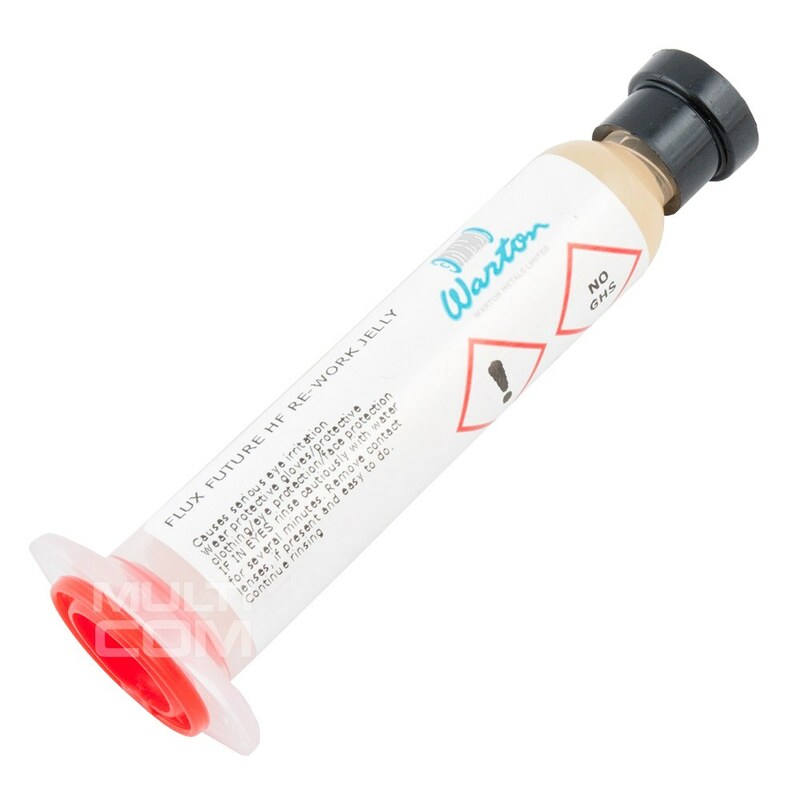 Flux in gel Future HF Rework Jelly Flux 10g is a high quality flux by Warton Metals Limited. Future HF Rework Jelly Flux is a "No Clean" type - no cleaning required. Rework "no clean" - soldering help pen it's great option for repair even FBGA devices but can be used also for PLCC, QFP and BGA. Rosin 1000g A flux with activators added to facilitate soldering; it is almost as active as soldering paste. Rosin 100g A flux with activators added to facilitate soldering; it is almost as active as soldering paste. Rosin 20g A flux with activators added to facilitate soldering; it is almost as active as soldering paste. 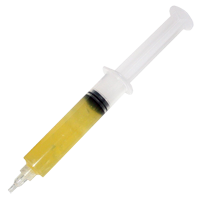 Rosin 40g A flux with activators added to facilitate soldering; it is almost as active as soldering paste. 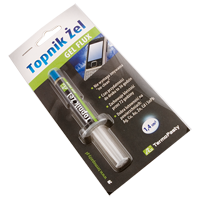 Solder GEL for repair - type ALPHA RMA 7 it's special gel use for resolvign problems with soldering ciruits, error's and to allow more easy soldering of SMD and DIP components. Afer use dont' need to clean. 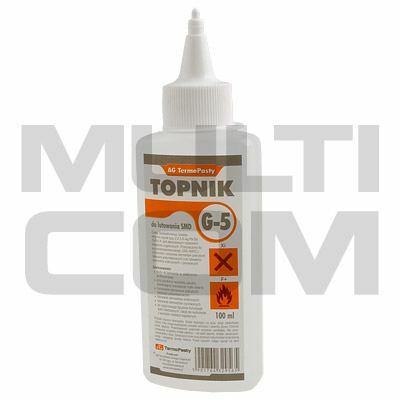 Solder liquid flux AG-5 100ml it's special liquid used for resolve problems with soldering on ciruits. Allow more easy soldering of SMD and DIP components. Is a very active, low solids, no-clean flux. 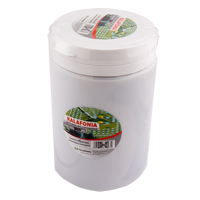 Solder liquid flux LP-1 100ml it's special liquid used for resolve problems with soldering on ciruits. Allow more easy soldering of SMD and DIP components. Is a very active, low solids, no-clean flux.